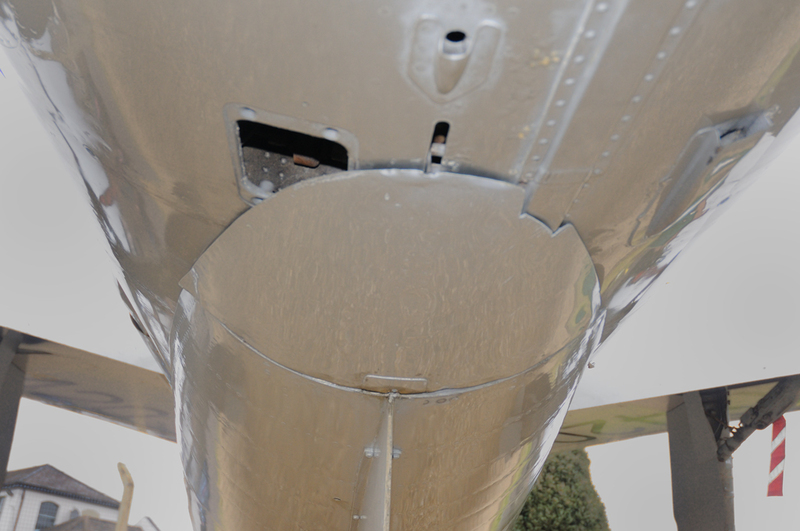 During February 2013 high winds dislodged the small fairing to the rear of the ventral tank. 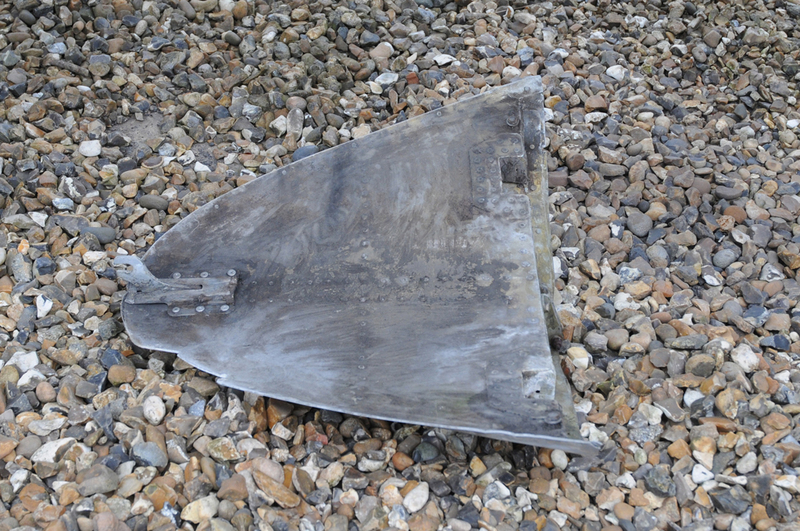 The fairing was found lying under the aircraft's fuselage. Looking at the position from where the fairing came from, there did not appear to be any fixings to allow it to be put back. 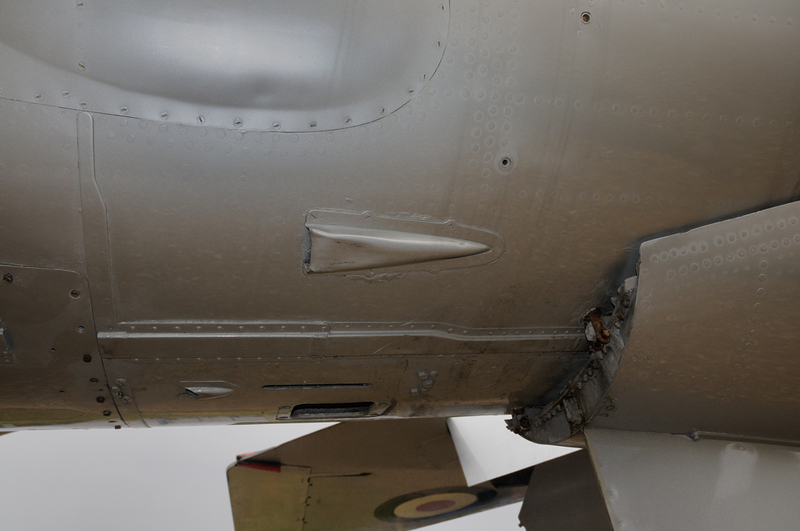 So lying on the ground with the temperature around 0, I managed to obtain a fixing and resecure the fairing. Hopefully when the wind now blows the fairing will not go flying !